Fr. Brian McGrath, a native of Littleton, MA, was ordained to the priesthood in 1992 by the late Bishop John Marshall. Fr. 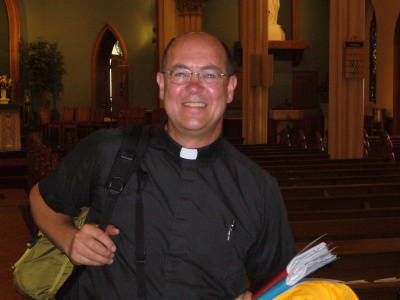 Brian has served at a number of parishes in the Diocese. He served at St. Mary's in Lee from 1994 to 1996 and was long-time pastor at St. Mary's Church in Westfield. Most recently, Fr. Brian served as pastor of St. John the Evangelist Church in Agawam. Fr. Brian has extensive experience with parish schools and that experience will be valuable in his work at St. Mary's. Fr. Brian was named pastor of our parish by Bishop Mitchell T. Rozanski, effective September 1, 2016. Welcome, Fr. Brian!